This engagement session was so much fun and so different from our usually locations! 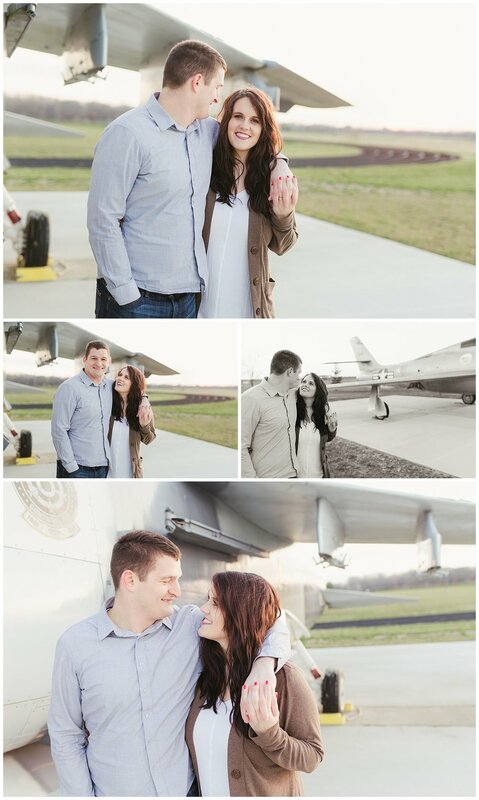 Jason used to work at the Rickenbacker Air Force Base and both Jason and Angela thought it would be a fun place to photograph their engagement session! And they were totally right! 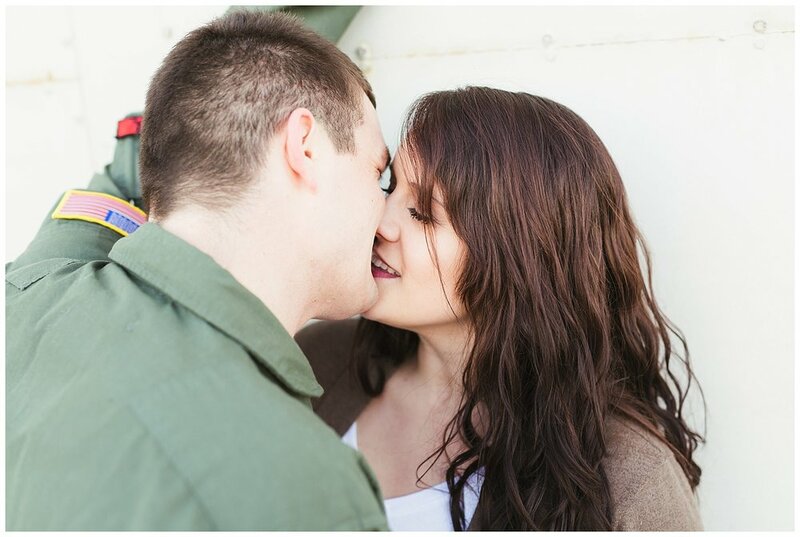 It was such a cool experience to photograph a couple amongst huge Air Force planes! Not only was the location great but so were Angela and Jason! Jason could get Angela to give the big smiles and the best laughs! They are definitely one awesome couple and we are really looking forward to photographing their wedding this fall!